�����Copper coins have had a great following of collectors throughout the years. Half Cents, Large Cents, Indian Cents, and Lincoln Cents attract thousands of collectors because it was (and still is) the basis of coin collecting from the very beginning. These were the most economical coins to collect when most collectors did not have much money for such frivolities. Most early cents were used for commerce and not saved in impressive holders. This is why you find so many Half Cents and Large Cents with damage or porosity. Only the very rich could collect, and even they did not have the foresight to save large quantities. In its infancy, it was a mere novelty. �����When it comes to acquiring Copper, most collectors want coins as original as they came from the Mint. This means they want full Red coins. However, as with all other series, specific attributes and higher grades tend to cost substantially more especially in the highest grades. When you specify demand for an 1877 Indian Cent in MS66 you will find that there are only 17 total coins certified by NGC and PCGS. If you want full Red, there are only six coins certified and best guess is that none are actually available. The current FMV for MS66 Red is $149,500. 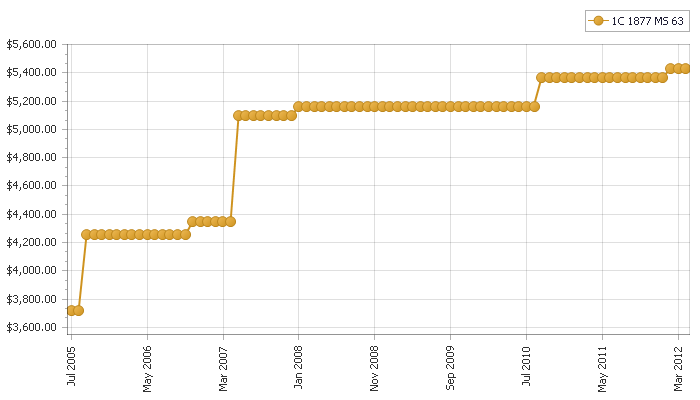 The following graphs show the progress of the FMV for the 1877 Indian Cent in MS63 from July 2005 to April 2012. We have separated the data into three graphs depicting Brown, Red & Brown, and Red. �����In July 2005 the FMV was $3,450; April of this year it was listed at $4,980. That is an increase of 44% in seven years. The total number of coins certified is only 70 in MS63 Brown. There are only 70 more coins certified in MS64 to MS66 with none higher. 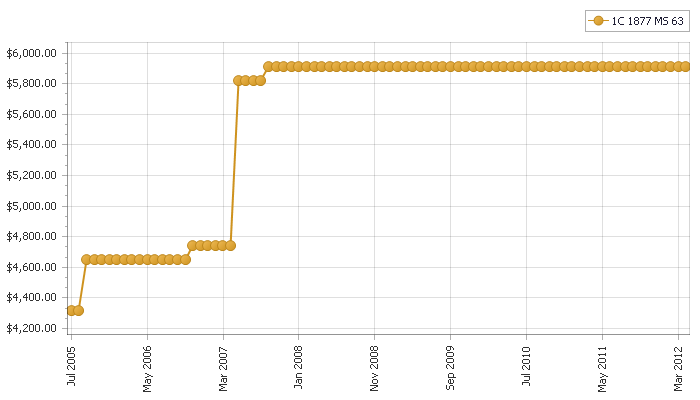 In the same timeframe, the MS64 Brown has increased at a rate of 14% from $5,310 to $6,060. 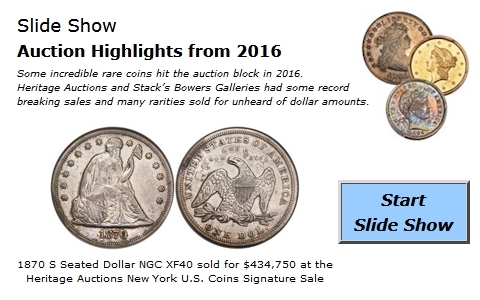 In addition, the MS65 Brown, with only 17 total coins certified, has increased just 7% from $6,940 to $7,440. �����The Red & Brown 1877 in MS63 rose from an FMV of $3,720 in July 2005 to $5,430 this past April. That is a tremendous increase of 46%. The Red & Brown also has the most number of coins certified in the Mint State grades. There are a total of 133 in MS63; 237 in MS64; and 130 in MS65. The 10 in MS66 hardly seems like enough to satisfy any demand for this popular issue, especially when you consider that this total can be skewed by resubmissions. During this same time period the MS64 RB FMV advanced from $6,880 to $8,690; that is a substantial move of 26%. However, the MS65 RB actually fell over 10% dropping from $13,750 to the current $12,310. An increase in the number of coins certified in this grade would be a natural assumption as the reason for this grade�s small decline. �����The Red coin may have the strongest demand, but fewer collectors. There are only so many coins in this grade (only 85 in MS63 � 65) and the price point tends to eliminate some potential collectors. The MS63 Red was $4,320 in July 2005 and now has an FMV of $5,910, an increase of 37%. In MS64 Red, the FMV is $10,310 which is up 30% from the 2005 FMV of $7,940. However, the MS65 Red is up just a little over 2% during the same period. 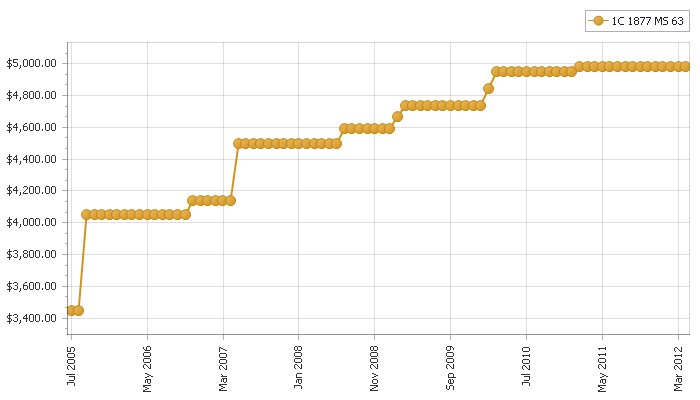 This is after a run up to $27,810 in September 2007 up from $25,000 in July 2005. The current FMV is $25,630. While the MS65 Red has not advanced at the same rate as the other grades, it does show stability and a tight trading range. �����The graphs show that the MS63 and MS64 grades have prospered the most in the last 7 years. Further, in the last five years, collectors have become more interested in Brown and Red & Brown coins based on value and population. While the Red coin has been worth a higher value since 2005 and even earlier, the Brown and Red & Brown coins have seen their FMV�s increase the highest percentages in the last five years. �����This is a great coin for high-end collectors; it has history and is the key coin of the set. However, it has very limited availability. That is why collectors have leaned toward the lower grades and the Brown and Red & Brown coins. Collectors see the value in all Copper coins that have that little extra eye appeal or color. A Brown coin that has a little Red in it is certainly worth a premium. The same can be said for a Red & Brown that shows more Red than Brown.